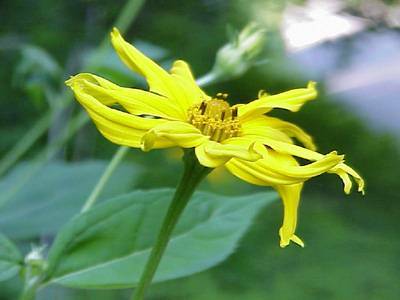 Description: From 2 to 5 feet tall, Not a true sunflower. 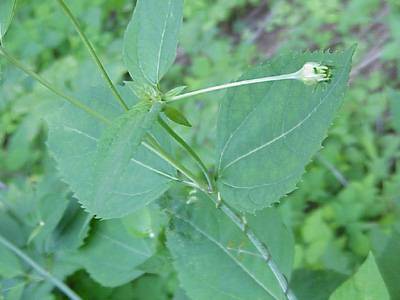 Leaves are short arrowhead shaped, toothed, attached in pairs to a smooth stem. There is a smooht leafed and rough leafed variety. 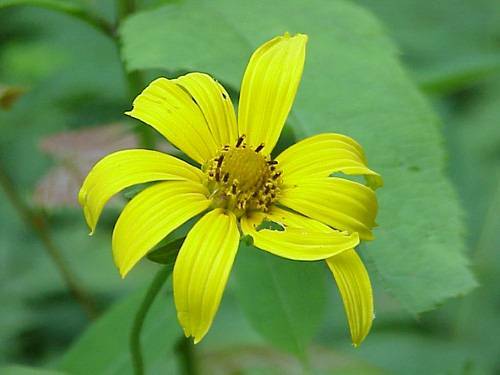 Both ray and disk flowers form seeds differing from the true sunflower.